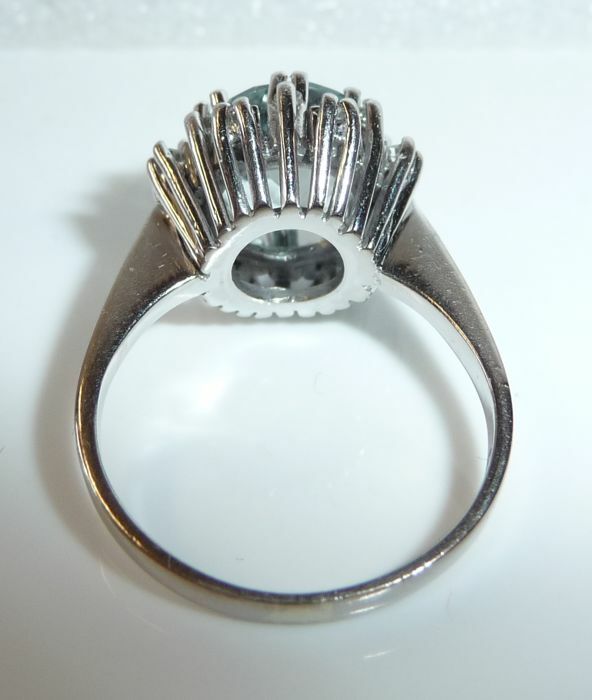 Ring made of 14 kt/585 white gold. 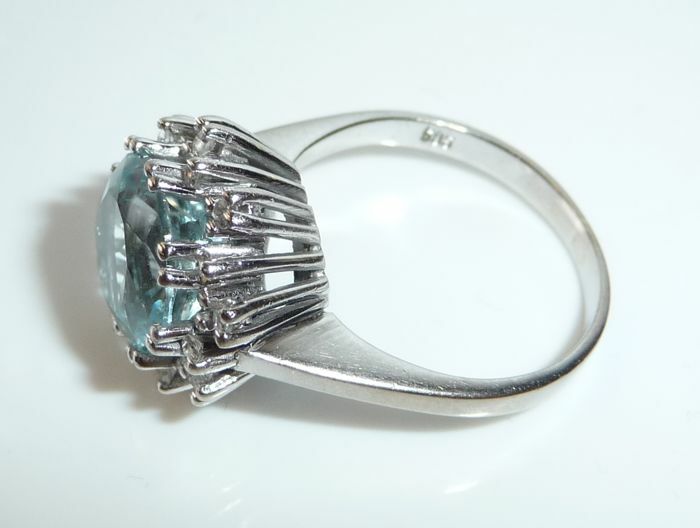 The ring is set with a natural aquamarine weighing approx. 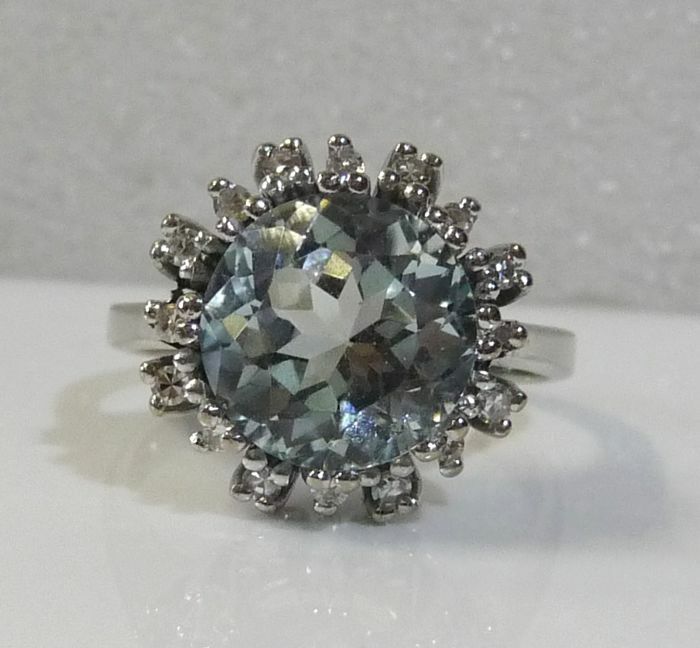 3.5 ct in a handmade mount. 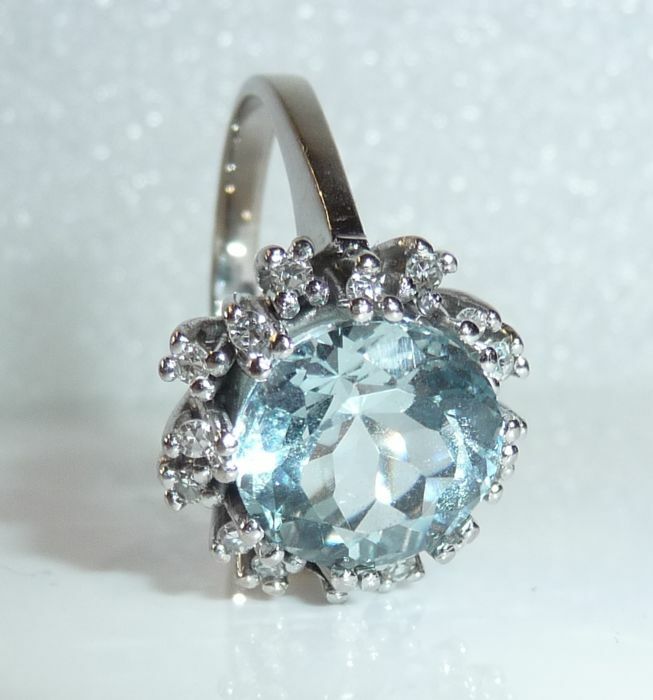 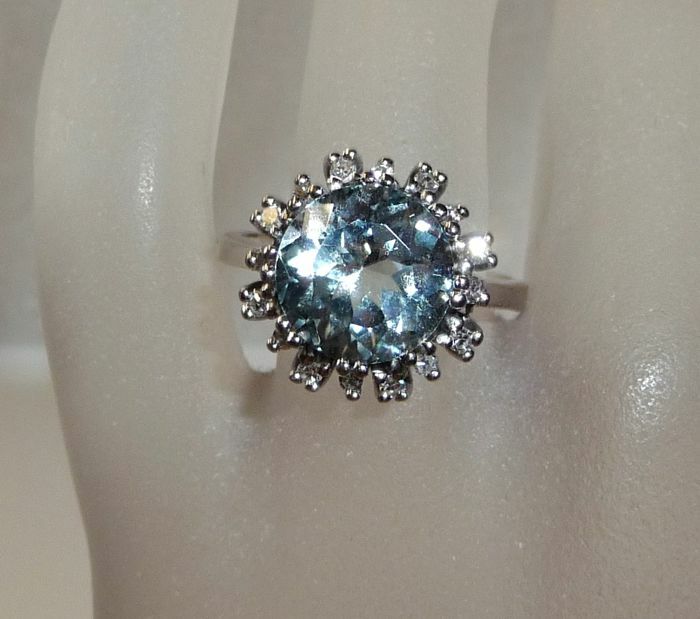 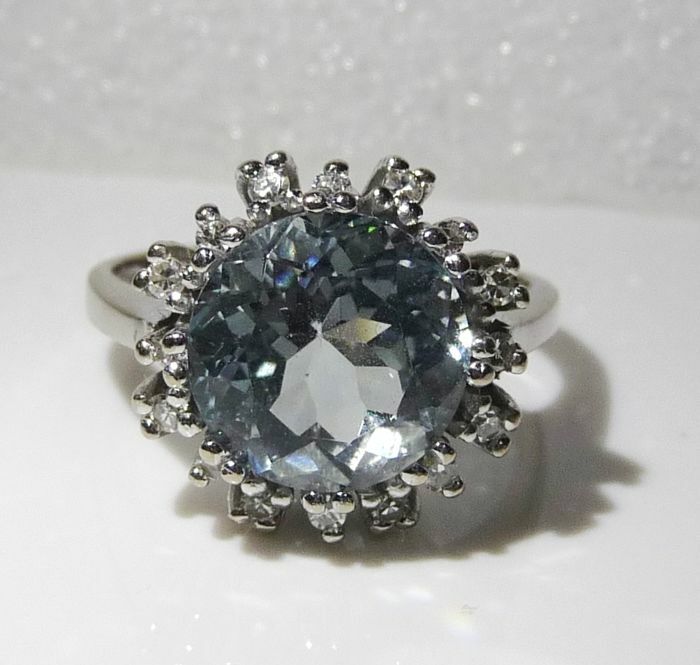 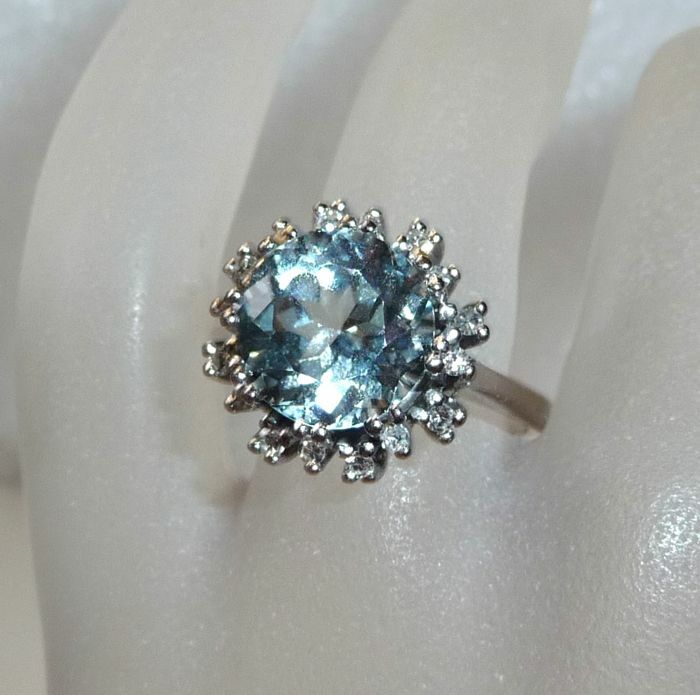 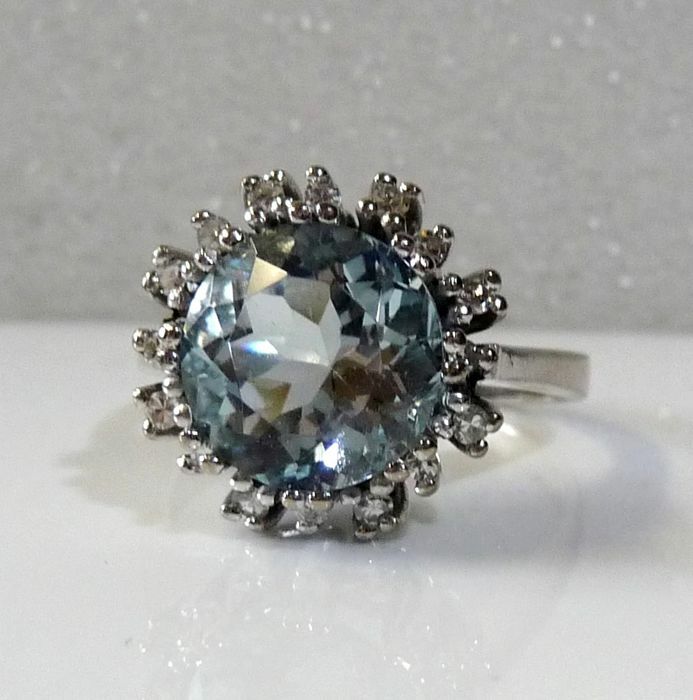 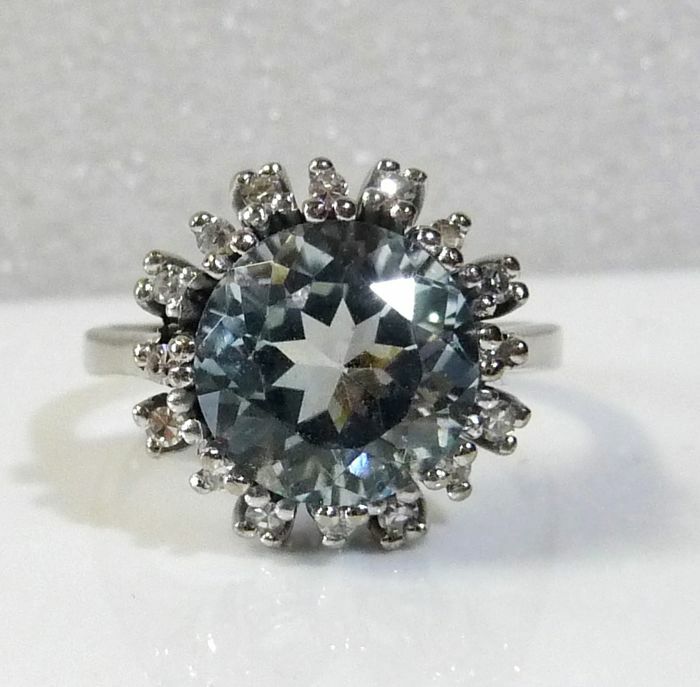 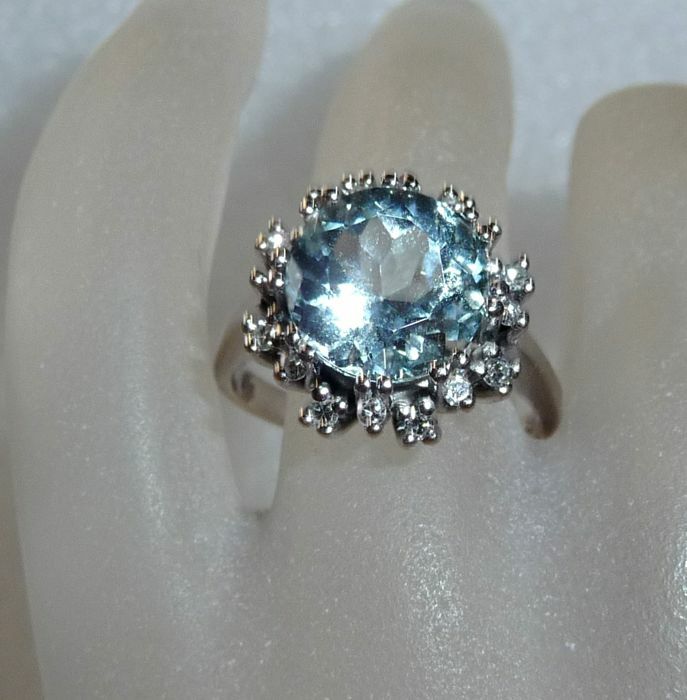 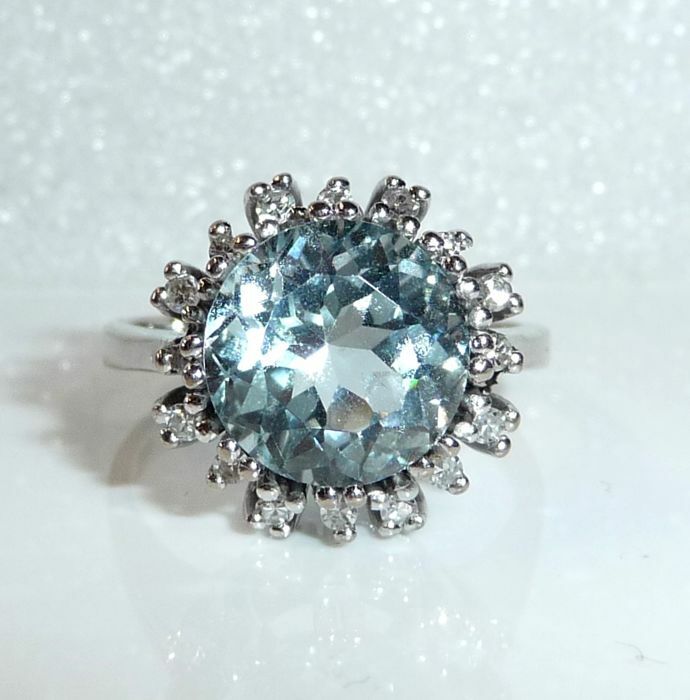 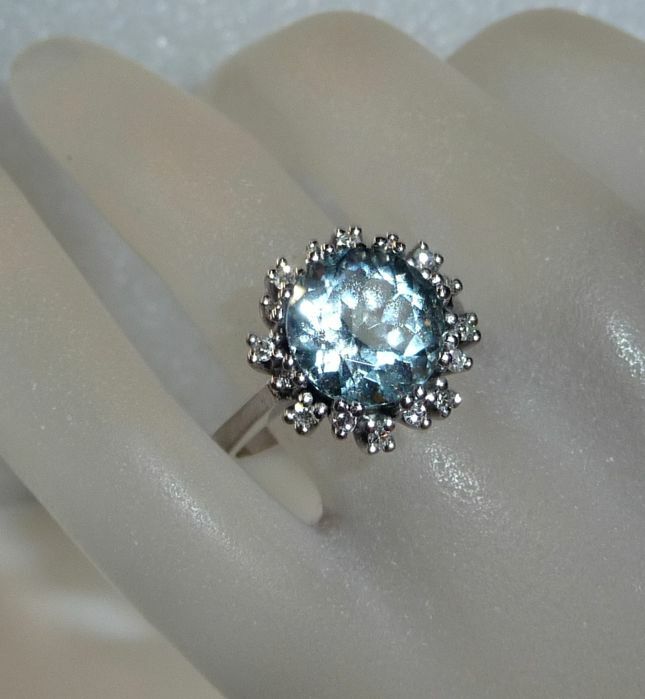 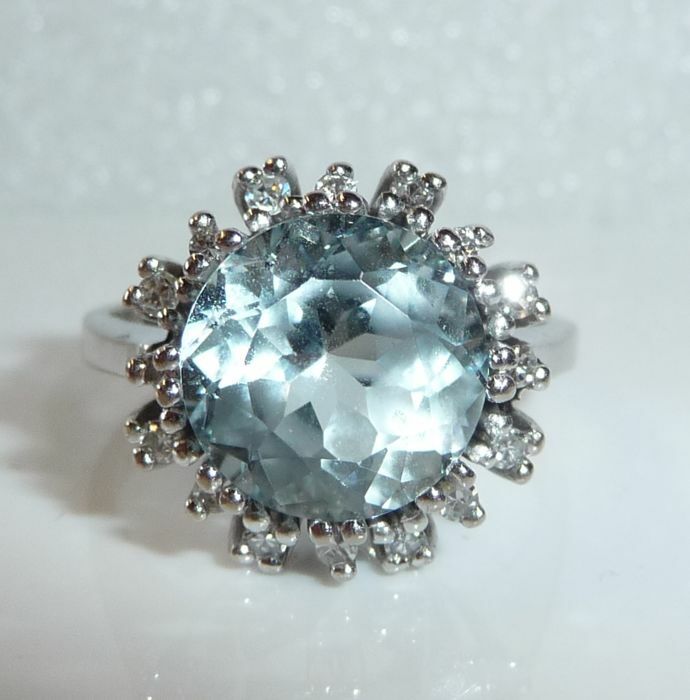 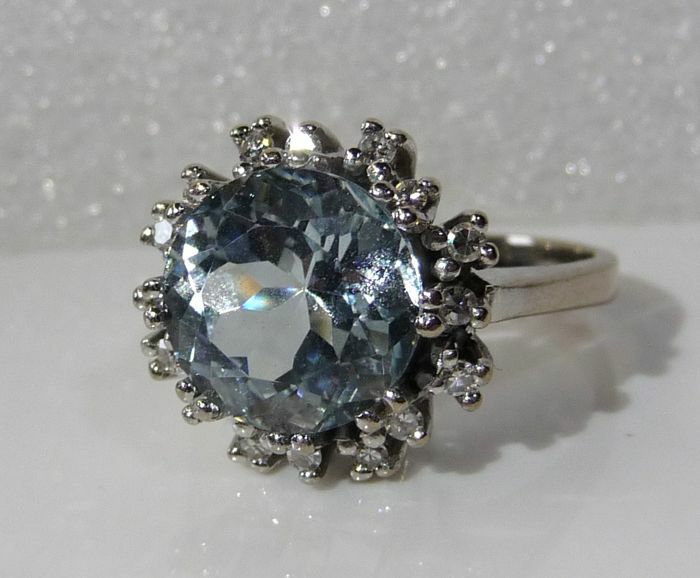 The large aquamarine has a round shape and is brilliant cut. 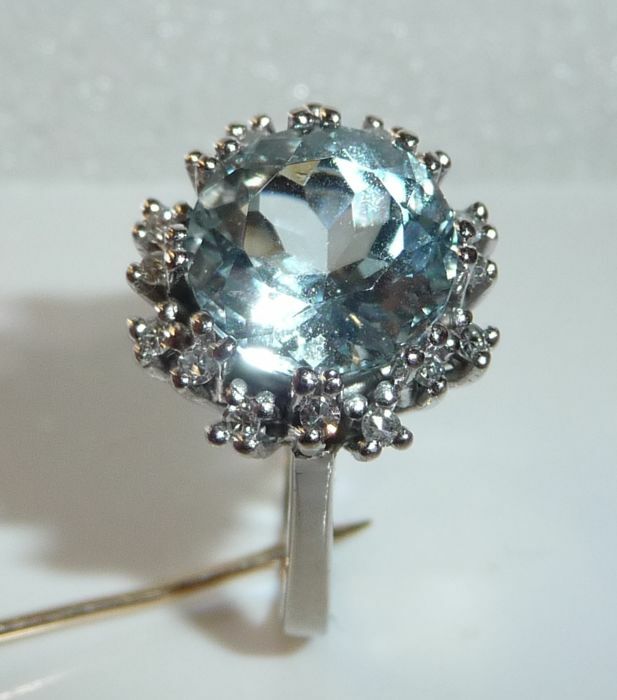 The aquamarine is untreated. 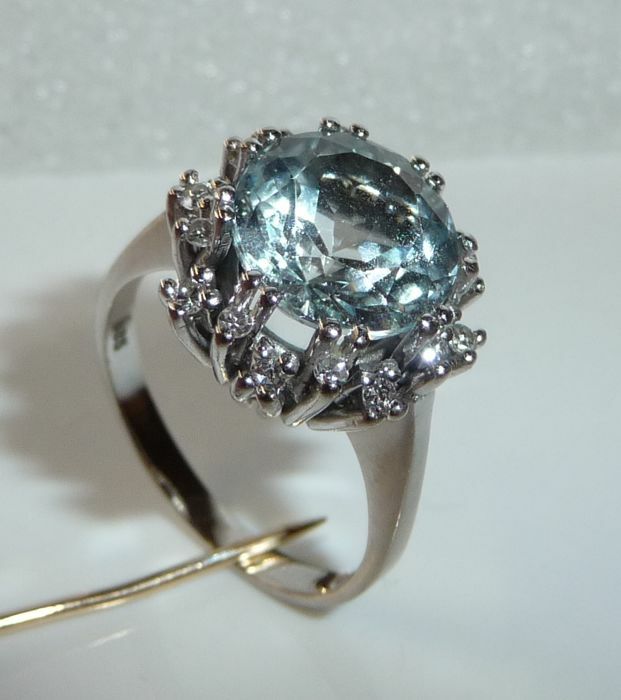 A beautiful, natural aquamarine in an intense water blue colour tone. 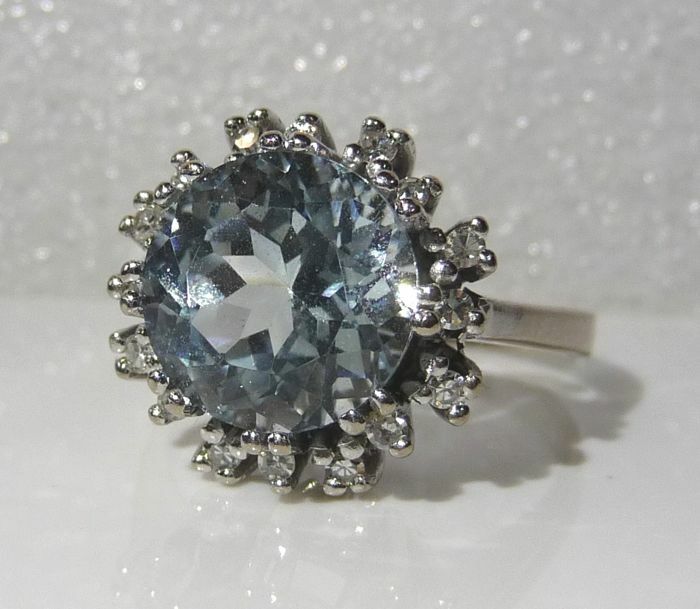 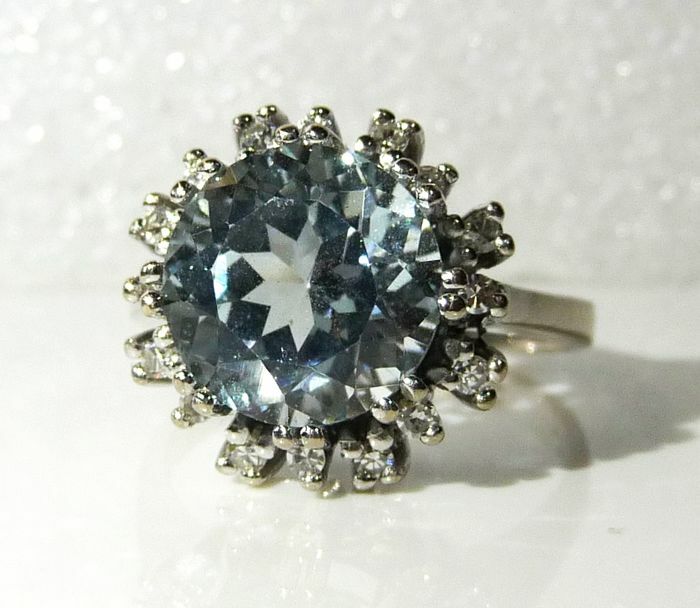 The aquamarine is framed by two circles of diamonds in octagonal cut (H/VS). 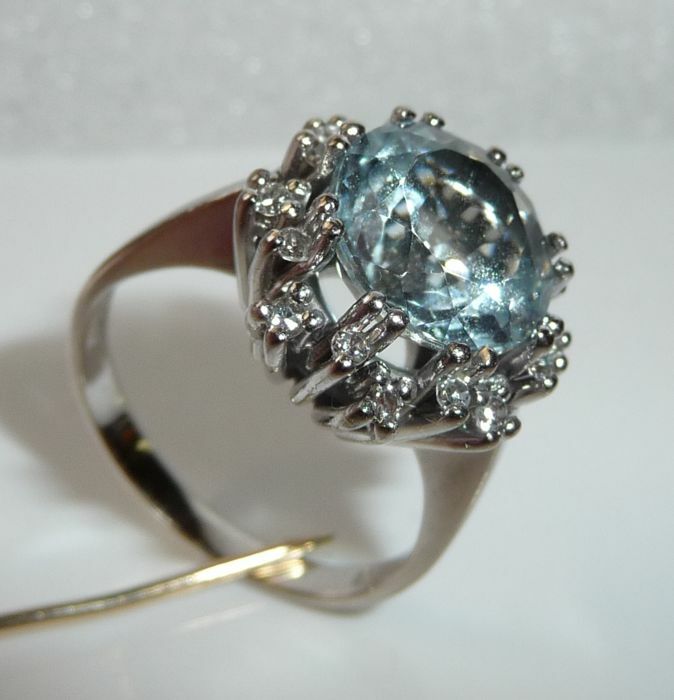 The diamonds of the inner circle are slightly smaller. 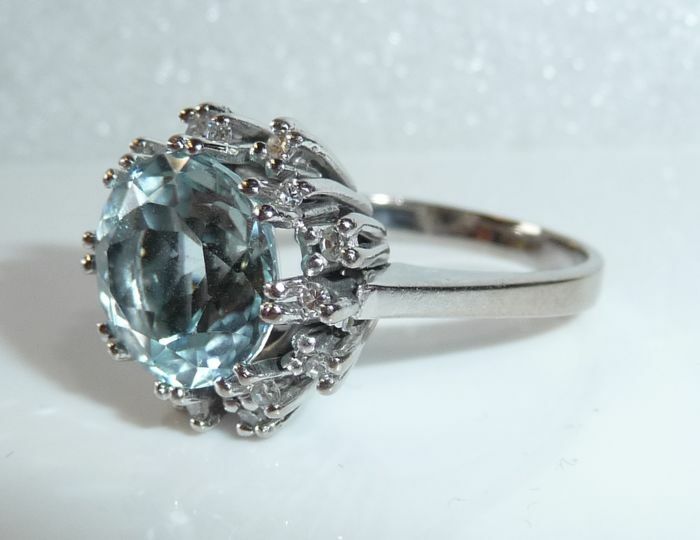 They weigh 0.20 ct in total. 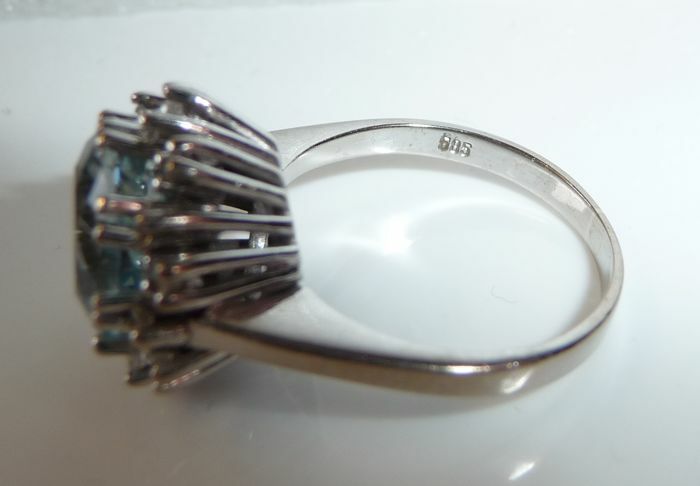 This value is hallmarked on the ring band. 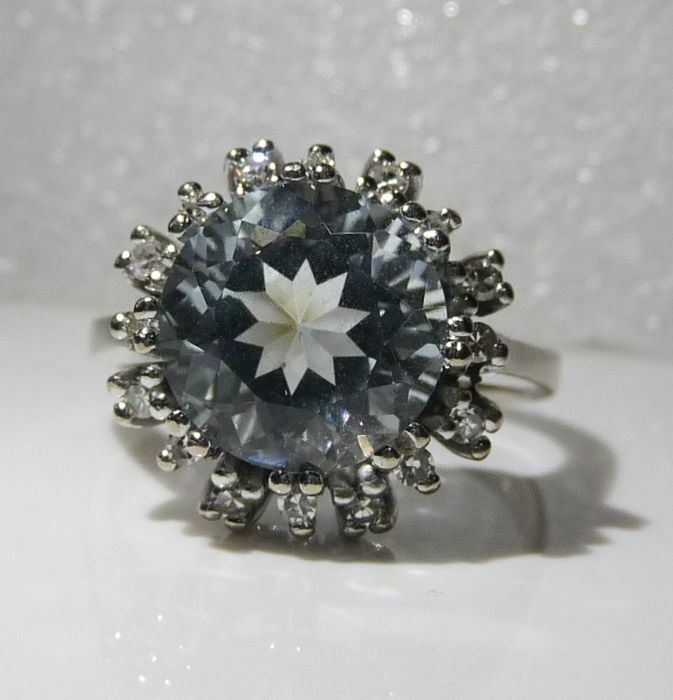 Elegant piece made by a goldsmith in the 70s. 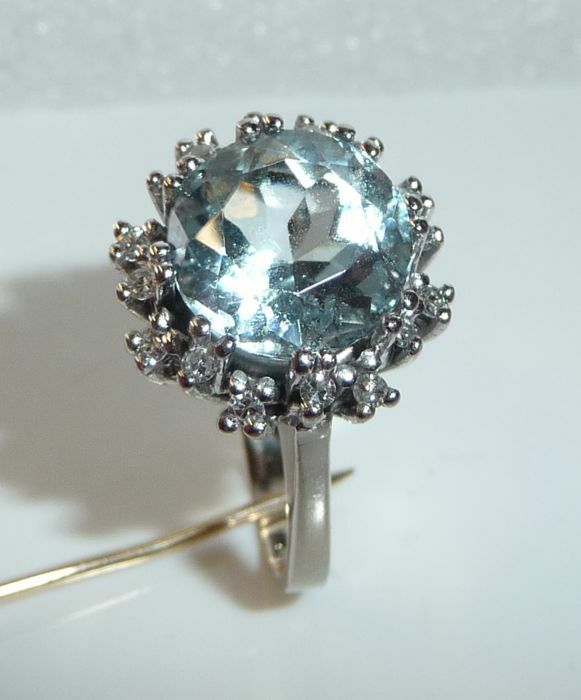 Ring size: 56-57/17.8-18.1 mm - adjustable by us for 25 Euro up to around size 60 including new rhodium-plating and polishing. 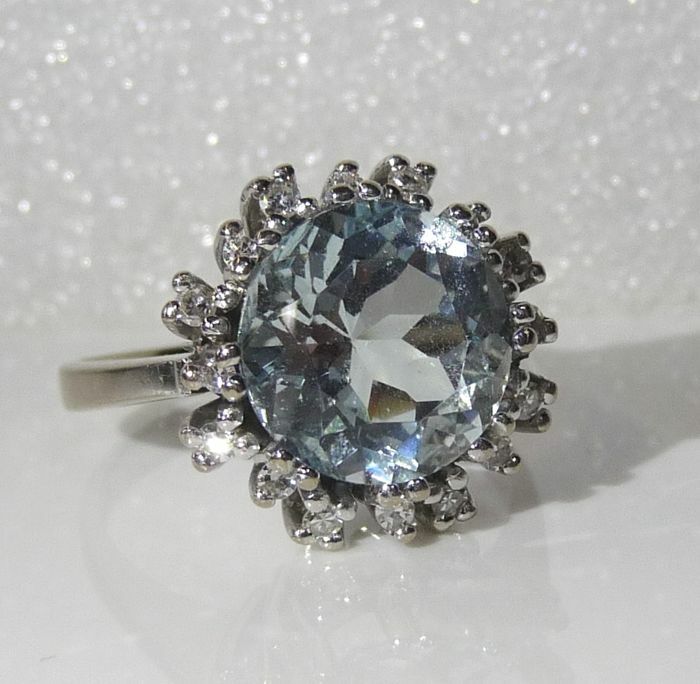 Very good condition and significantly clearer and more brilliant when seen in person.